A former Tory MP who is now working for a leading plastic manufacturer is facing claims the business is exploiting its employees’ links to the British Conservatives to block a ban on plastic bags at European Union level. Margrete Auken, a Danish MEP pushing for a ban on oxo-biodegradable plastic bags, has accused Symphony Environmental Technologies of using its links to the UK Conservative-led government to orchestrate an EU blocking minority against her bag ban in the EU Council of Ministers. Martin Callanan, the former Chairman of the European Conservatives and Reformists group who lost his seat in May’s European elections, joined Symphony as a consultant on 5 November. He joins Nirj Deva, a Tory MEP since 1999 who is also Symphony’s Chairman of the Board of Directors. Deva is not involved in the lobbying effort as EU parliamentary rules would forbid it. The European Commission’s original 2013 legislation to reduce lightweight plastic bag consumption in the EU did not include an outright ban or mandatory pricing. 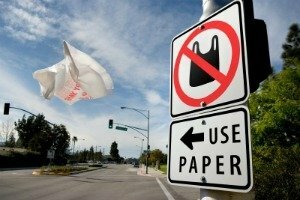 Auken introduced the ban on oxy-biodegradable bags, a type of plastic, as an amendment to the bill, which targets an 80% reduction in the use of lightweight plastic bags by 2019 and a consumer charge for their use. Supporters of the technology say it is degradable, but critics argue it breaks down into harmful microplastics instead. The Commission is carrying out research on the bags, which the UK wants completed before any ban is agreed. Wales, Scotland and Northern Ireland have mandatory pricing; England is considering a similar initiative. The UK government was not trying to protect Symphony, Stephen said. But they did not think it was right to inflict serious damage on the industry before the study was completed. UK government sources confirmed that Britain was against a ban and mandatory pricing, and that other member states were supportive of that position. EURACTIV understands they include Poland, Croatia, Denmark, Bulgaria and Slovakia. The row has erupted just days before Monday’s trilogue, preliminary talks between the Council and Parliament aimed at agreeing a common position on the bill so it can be made law. Auken told reporters yesterday, “We’re faced with a situation where the UK Tory government is fighting hard to defend a minute, UK based company with strong Tory ties. The Danish member of the European Greens, who said Symphony employed just 30 people, was blasted by Stephen, who said she had made an “outrageous statement”. Stephen said that Symphony was never invited to address the European Parliament’s Environment Committee when the ban was being debated. “Everything she says is 100% wrong. To base European legislation on that kind of nonsense is almost unbelievable,” he added. Oxy-biodegradable plastic is proved by independent scientific research to be degradable, biodegradable, non-toxic and recyclable, he said. “What is so powerful about this company that you have a blocking minority of MS that want to defend this technology against the cause of the whole plastics industry, including recyclers?,” asked Auken. Auken’s office pointed to a PlasticsEurope press of September 2013, which welcomed “the proposed ban” before 2020. “No biodegradable plastic bag is a solution to littering. But the so called ‘oxo-biodegradable’ plastic bags will fragment into microplastics in the environment,” Auken said. On Wednesday (12 November), Commission Vice-President Frans Timmermans hinted that he would considered ditching the proposal as part of his remit to cut back unnecessary regulation. Every European uses an estimated 500 plastic bags a year on average and 92% of these are single-use. The low weight and small size of plastic bags means they often escape waste management and end up in the marine environment, where their eventual decay can take hundreds of years, the European Environmental Bureau, said. The European Parliament voted on 16 April in favour of curbing the use of thin plastic bags in the EU by at least 80% by 2019. The draft laws call for EU countries to first reduce their consumption of the bags by 50% by 2017, compared to 2010 figures. The new law will apply to lightweight plastic bags that are thinner than 50 microns, which are deemed the most polluting form of bag. They are the type of bag most prone to littering and can easily break apart, causing damage to the environment and ocean wildlife, in particular. The stomachs of 94% of all birds in the North Sea area contain plastic, according to European Commission statistics. How can I be sure that my assets will pass to the people I want to receive them? How do I avoid probate court and estate taxes? How can I protect my loved ones’ inheritances against creditors, lawsuits and other potential threats? How can I protect my life savings against the high cost of long-term care? If I become incapacitated, how can I ensure that people of my choosing will be able to make health care and financial decisions on my behalf? What are the best ways to structure my business and protect my business assets? If I must enter a nursing home very soon, or am already in a nursing home, can I still get assistance from Medi-Cal to help pay for it? American Best Credit Inc. has been helping consumer find some of the best credit card offers available on the internet since 2008. Yes, we are in the business of promoting credit card offers via our credit card affiliate network, and we are compensated for this activity, but we provide a great resource for you. We conveniently display many credit card offers on one website site, saving consumers a lot of time. We do like to hear your opinion of the credit card offers on our site, so feel free to let us know if you have a problem with any specific product. Thank you for your business. If you have questions about any of the credit card offers on this site, we suggest you contact the lending institution direct.